Is your baby still not sleeping through the night? 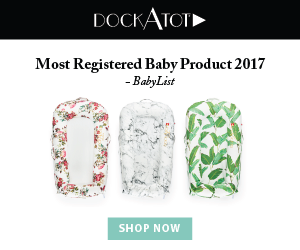 Are you ready to start sleep training your baby so that both you and your baby can finally get that much needed sleep you have always wanted? In an effort to fully disclose, this article contains affiliate links for products that worked for my family. This means if you purchase something, I would receive a commission. For more information, see my Disclosure page. Now it is going to take a little bit of time and effort, but after reading this hopefully you can get things to a better point in your baby’s sleep training stage. What is Sleep Training: Cry it out? It is just like it sounds, you let your baby cry it out. This helps your baby learn to self-soothe themselves back to sleep if and when they wake up during the night. You will hear people that are for and against it, but in all honesty, you have to do whatever works for you! Being a parent isn’t about keeping up appearances, it’s about doing what is best for your child no matter what. Mommy meltdowns are one of the biggest reservations people have to using the sleep training: cry it out method, which leads me to a few tips to remember to avoid said meltdowns. Tell yourself you are a good mom. Remind yourself you are doing what is best for them. They need to sleep, and they need to learn how to fall back asleep in the middle of the night. Close the door or walk to the other part of the house. It is going to be hard, but get your mind off of it. I really like the Cocoon Cam baby monitor because it sends you a live feed directly to your phone. Not only that you can hear baby, and also talk to baby. This has been hands-down the BEST baby product I have bought, and honestly wished I had it with my first baby. While I completely understand that not all circumstances let this be an option, but if you can, have your baby sleep in a different room than you. This was an important part in sleep training my kids. The reason for this is because while your baby learns to self-soothe, the room he/she sleeps in will be loud and crazy. The part about cry it out is that your baby has to cry it out to learn how to self-soothe, and if you sleep in the same room…no sleep for you! 3. When’s the right time? Every baby is different. As a mom, you are going to be the best judge of when your baby is ready to learn sleep training: cry it out. There are definite exceptions like if they are sick, or crying because they are still hungry or wet. I found it was a good time to start sleep training: cry it out after my baby had an already established routine of feedings and play times. Like I said earlier, I had read a lot about sleep training: cry it out, but if you are like me, hearing your baby cry physically does something to you. It was the most heartbreaking thing to hear her cry. So, cry it out was put on the back burner, and I constantly went to my baby when she cried. This developed a pattern at night time, and if she woke up in the middle of the night, she couldn’t self-soothe herself back to sleep. After the countless times of getting woken up in the night, I decided I had to do something for my sanity and my husband’s. I came back to cry it out. This is the best way for a child to learn to self-soothe herself back to sleep especially in the middle of the night after both you and your spouse are fast asleep. The first week I would deem as hell week. I think I cried just as much as she did. The next week, I could see the light. She was still testing the waters when we put her down to sleep, but after 5-10 minutes of “fake crying”, she would fall asleep. Then, it happened! I slept through the night. Amazing. I always get woken up to her crying in the middle of the night, but this time it didn’t happen. Sleep training your baby can be hard at first, but with the right techniques, you and your family will be so much happier! Remember to start when your baby has a feeding routine established, sleep in a different room than your baby, and use the tips to avoid mommy meltdowns during this critical time in your baby’s life. Thank you for stopping by. If you enjoyed reading this, please remember to pin this to your baby board on Pinterest! Thanks! !